This week I'll be blogging about Dave Grohl and the various bands/projects that he was/is involved with. Next up on the docket - Them Crooked Vultures. The band began recording in February 2009, and performed their first gig on August 9, 2009, in Chicago, followed by a European debut on August 19. On October 1 the group embarked on a worldwide tour titled Deserve the Future with dates going into 2010. The band's first single "New Fang" was released in October 2009, followed by the group's self-titled debut album the following month, debuting at number 12 on the Billboard 200. The group won the 2011 Grammy Award for Best Hard Rock Performance for "New Fang". 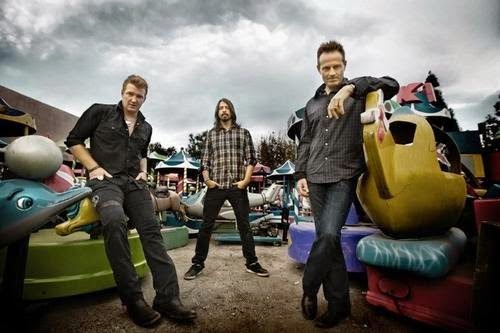 In December 2012, when asked about the band's future, Dave Grohl stated: "We've talked about it, I know that someday we'll get back together and do stuff, because we love playing with each other." 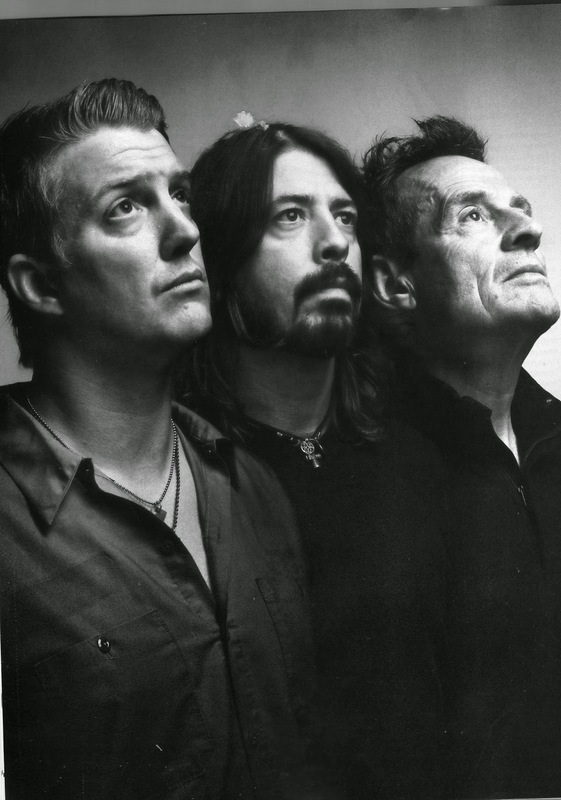 For the longest time, I had regarded "Dead End Friends" as my favorite Them Crooked Vultures song, but after recently listening to their album again, I find that I am really liking "No One Loves Me, and Neither Do I". Dave Grohl is a BEAST on the drums! For your enjoyment, I've included videos for both songs.